Sailor Moon. . HD Wallpaper and background images in the Sailor Moon club tagged: sailor moon anime. 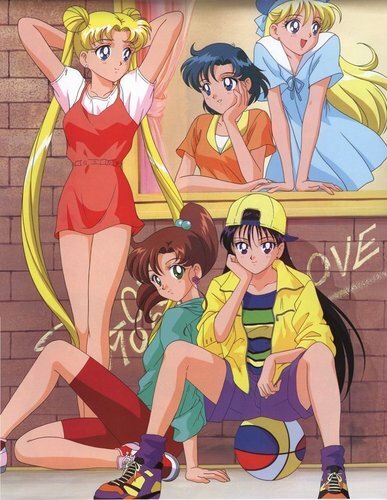 This Sailor Moon photo contains anime, fumetti, manga, and cartoni animati. Usagi, Seiya, and Haruka in a photo! They are all SO beautiful!!!! I love how she's sitting on a basketball, so I can say that my favorite anime girl plays my favorite sport! lol!